When you think of digital ads (especially search), Google undoubtedly comes to mind. But the numbers may have you second-guessing your instinct. This year, Amazon’s U.S. ad business is projected to grow more than 50%. That means Amazon ads will make up more than 8% of the digital ad market. Next year, that number is projected to grow to 10%, according to a 2019 eMarketer report. Amazon is officially the No. 3 digital ad platform in the U.S., with U.S. retailers spending $4.61 billion on Amazon ads in 2019. Because of Amazon’s growth, Google and Facebook, the first and second biggest ad platforms, will see their shares of revenue drop. Google still accounts for more than 37% of the digital ad market with Facebook at 22%. Yet, Amazon’s rapid growth is where your business may have the most unearthed potential. Other companies certainly think so! This year, 80% of advertisers on Amazon plan to increase their budget on the platform, according to a Q4 Marketing Land survey. Of those increasing their spend, 20% plan to spend 50% or more. Amazon ads do perform. Nearly three-quarters (73%) of shoppers have clicked on an Amazon ad while browsing the web. From there, 83% ended up purchasing, and 60% said the ads were helpful, according to a 2019 Feedvisor report. 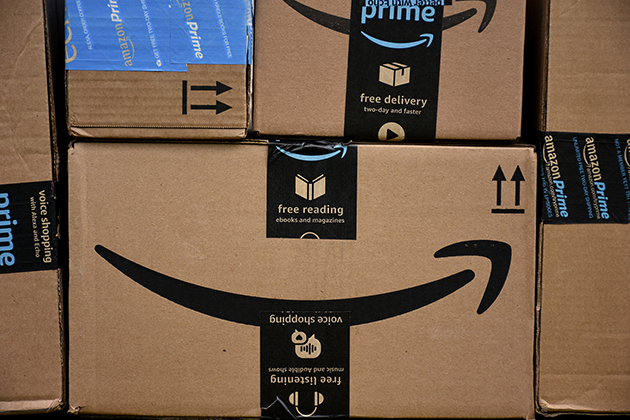 In Q4 2018, Amazon orders generated by sponsored products increased by 71%, while orders from sponsored brands grew 131% compared to earlier in the year, found Merkle. Amazon ads also convert shoppers nearly 3.5 times more than ads on Google Shopping. Plus, the average cost per click on Amazon is rarely more than $0.35, according to Practical Ecommerce. With all that in mind, how can you create ads on Amazon that perform? 1. Pick the right products. Ideally, you want to select products that have a Buy Box rate of 90% or higher. To find that, go to the reports section in Seller Central, click Business Reporters, and click Detail Page Sales and Traffic by Child Item. 2. Update your product page. It should have an accurate, descriptive title, high-quality images, hidden keywords and at least five bullet points with the product information people want. 3. Make it easy. If this is your first Amazon ad campaign, select automatic targeting, and Amazon will decide the relevant keywords for you. After you have the results, you can use the info to do it yourself in the future. 4. Find gold. An average cost of sale (ACoS) on Amazon is between 25 and 40%. Look for keywords that have an ACoS of 40% or lower to maximize profitability. Try using those terms as Exact Match keywords. The more specific you can be, the less competition you’ll have. 5. Go negative. Just like you use keywords to target the customers you want to talk to, you can use negative keywords to shoppers not worth your time. By digging through your search words, identify and weed out the terms that are not performing. If it’s not driving sales or clicks, don’t waste your money.